Say the words "free jazz" and many people tune out. Play free jazz and they head for the exits during intermission, if they wait that long. When Cecil Taylor brought his trio to the Ted Mann in February 2000 as part of the Northrop Jazz Season, people packed the aisles as if someone had yelled "FIRE!" Taylor was my first journey to the outer limits of jazz. He played the piano with his fists and elbows, and his bass player laid his instrument down on the stage and kicked it. All jazz has an element of improvisation. Free jazz, a.k.a. avant-garde jazz, goes further. It can be all improvisation. You won't hear a melody you can hum along with or a beat you can tap your feet to. Much of the music may be invented on the spot and not composed ahead of time or even rehearsed. Each player may seem to be doing his or her own thing, resulting in a lot of noise with no clear structure or purpose. So why go to hear free jazz? Because it's the musical equivalent of Disney's Space Mountain, the roller coaster you ride in the dark. Other members of the trio are bassist Adam Linz and drummer Alden Ikeda. Linz's main band is Fat Kid Wednesdays (with J.T. Bates and Mike Lewis; Lewis is one-third of Happy Apple). Ikeda has performed with Don Cherry, Julius Hemphill, Billy Bang, and the Jesus and Mary Chain, among many others. The Cedar show will also feature Andrew Broder, former hip-hop DJ turned avant-rocker with the Twin Cities band Fog. Broder might play guitar, but there are no guarantees. Because free jazz is maligned and misunderstood, I asked Linz and Cartwright to give MinnPost some hints on what to expect and how to approach the Cedar show. Linz suggests you just be yourself. "A lot of people who attend [free jazz] shows come with baggage. Especially in Minnesota. They are worried about the show before they even walk through the door. If they could just come with a clear mind and an open heart I think they will be able to receive what we are giving them. It's a concert. It's OK if it doesn't change your life. That's what Pink Floyd shows are for!" "It gives you an experience you can't get anywhere else," Cartwright says. There is a plan for the show, with "ideas about how to structure the general flow of the sets. Who, what, when, where. Melodies, rhythms, harmonies. The usual stuff. It will be mostly original compositions but we may do a cover or two. Not sure yet." What can people listen for? "All of it at once," Cartwright says, and "something they never imagined." He suggests "waiting in a still manner for the quiet moments" and "waiting in a still manner for the loud moments." And "notice when it's over." Jazz aficionado and Jazz Police publisher Don Berryman will be there. "George is an amazing player," he says, "and GloryLand PonyCat is an exciting band." Don's listening tips: "Keep your ears open and don't resist it. This music will take you to strange and wonderful places if you let it." Pat Mallinger: In Chicago, the place to hear jazz every Saturday night is the Green Mill, where the group Sabertooth hosts an after-hours jazz party. 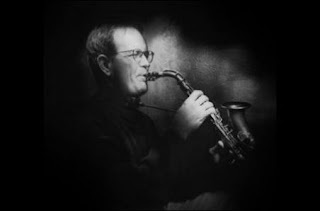 Co-leader Pat Mallinger plays alto and tenor sax. Born and reared in St. Paul, he's home for Thanksgiving. He'll be joined on the Artists' Quarter stage in St. Paul by pianist Peter Schimke, bassist Tom Lewis, and drummer Kenny Horst. The Artists' Quarter, Friday, Nov. 23 and Saturday, Nov. 24, 9 p.m. ($12). Roy Hargrove Quintet: Born in Waco, Texas, discovered by Wynton Marsalis while still in high school, Hargrove is one of the great young trumpet and flugelhorn players. He has recorded several CDs in a variety of genres (mainstream jazz, Latin jazz, M-base, bebop, hard bop, hip-hop/jazz) and won two Grammys. His current quintet includes Ronnie Matthews on piano, Justin Robinson on alto sax, D'Wayne Bruno on bass, and the wonderful Willie Jones III on drums. The Dakota Jazz Club & Restaurant, Monday, Nov. 26 and Tuesday, Nov. 27, 7 p.m. ($40) and 9:30 p.m. ($25). Photo courtesy of George Cartwright.